Whole Foods Market is recalling 365 Everyday Value White Corn Tortilla Chip that may contain milk, an allergen not listed on the label. The recalled product is packaged in 20-oz. 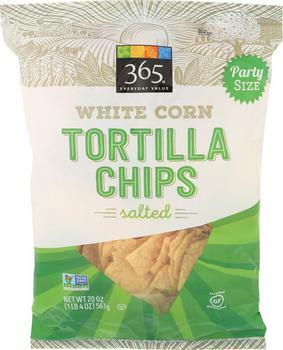 bags labeled “365 Everyday Value White Corn Tortilla Chips Salted-Party Size,” with UPC code 9948247145 and best-by dates between January 24-25, 2019, printed on the front top of the packaging. Customers who purchased the recalled product may bring a valid receipt into stores for a full refund. Consumers with questions may call (844) 936-8255 from 7:00 a.m. – 10:00 p.m. (CST) Monday through Friday, or 8:00 a.m. – 6:00 p.m. (CST) Saturday and Sunday.